The Southern Illinois University Edwardsville Office of Graduate Admissions will host an open house from 10 a.m.-2 p.m. Wednesday, April 12 in the Morris University Center Oak and Redbud Rooms. 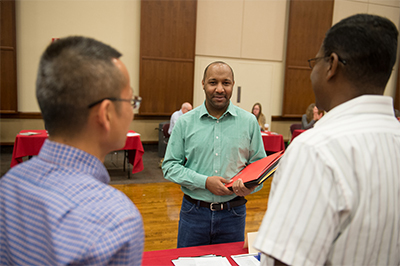 Prospective graduate students will receive information on SIUE’s more than 70 master’s programs, post-baccalaureate certificates, specialist degrees, doctoral degrees and cooperative doctoral programs. Information will also be available on graduate admission requirements and financial support. During the Graduate Admissions Spring Open House, the graduate school application fee will be waived for prospective graduate students who apply at the event—a savings of $40.